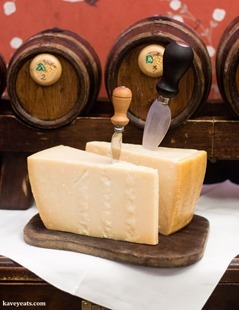 Back in 2011 I had the wonderful good fortune to be invited on a press trip to Parma to Discover the Origin of Parmigiano-Reggiano (better known to many as Parmesan cheese) and Prosciutto de Parma (Parma ham). Read my posts from that trip to learn all about these two products including exactly how they are made, and how production methods and quality are controlled by the Protected Designiation of Origin mark. 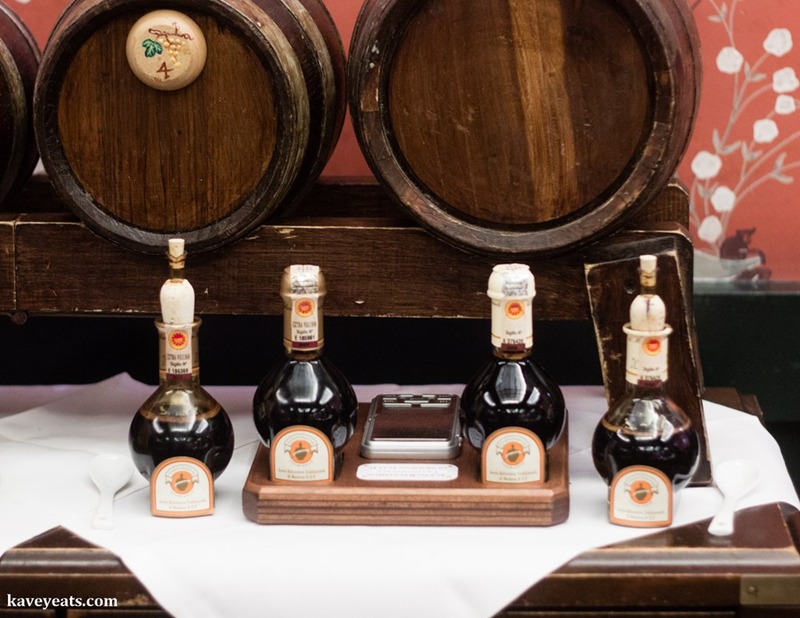 The only thing missing (for me) from that trip was the chance to also visit nearby Modena to find out more about the other famous product of the area, Aceto Balsamico Tradizionale (Balsamic vinegar). The trio of ham, cheese and vinegar seems an almost holy trinity in the food of this corner of Italy. Of course, there are many other products for which the region is known – local olive oil, a range of other cured pork products such as mortadella, coppa and several types of salami sausage, not to mention other brands of grana-style hard cheese. 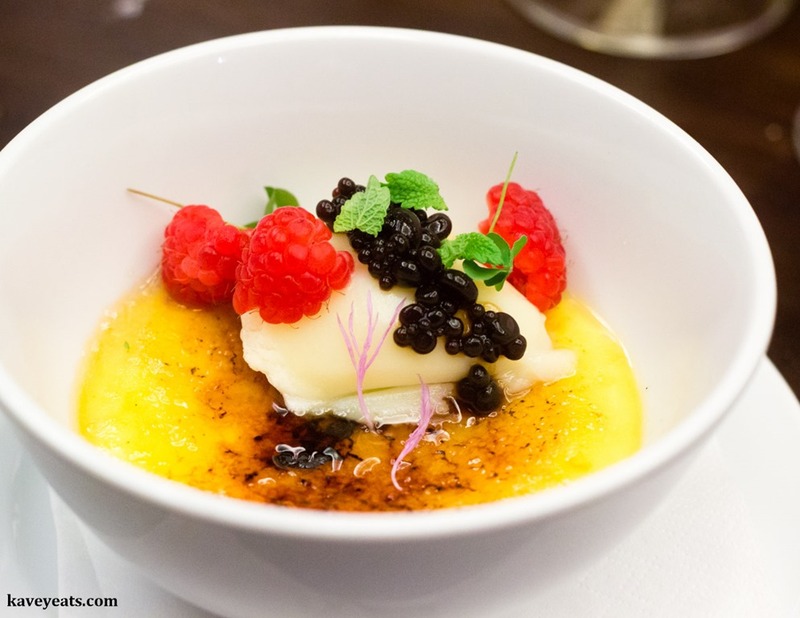 Soho’s Bocca di Lupo restaurant recently hosted a special evening showcasing Parmigiano-Reggiano and Aceto Balsamico Tradizionale via a one-off menu created by in-house chefs Jacob Kennedy and Jake Simpson, together with Michelin-starred Italian chef Isa Mazzocchi. Mazzocchi is the resident chef of La Palta restaurant, in Piacenza – a city in the North East tip of Emilia-Romagna and it was a privilege to be able to taste her cooking here in London. First we learned more from representatives of the two professional Consortiums that look after all producers of these two products. The Protected Designation of Origin means that everything is strictly controlled – from location of production, to sourcing of ingredients (which must also comply with strict rules about where the animals are raised and what they are fed), to quality assurance throughout production, to final quality testing ahead of branding. Additionally, the consortiums look after marketing for their respective products around the world, and they also take action against products illegally using the their names. I was already familiar with the story of Parmigiano-Reggiano. About Aceto Balsamico Tradizionale I knew only a little, and enjoyed learning much more from the charismatic producer of the vinegar we tasted throughout the evening. Balsamic is made from pure grape must, reduced by cooking, and then aged in wooden barrels for several years. The grapes have to be grown in a specified local area, and are most commonly Lambrusco and Trebbiano varieties. The juice is cooked immediately after pressing until the volume has reduced by around 50%. Natural fermentation during the ageing process does the rest, and the vinegar slowly reduces further thanks to natural evaporation, concentrating the flavours and thickening the consistency of the vinegar. Aceto Balsamico Tradizionale is sold after 12 years of ageing or 25, the latter being gold-labelled and very expensive – not surprising when you consider the lifetime it takes to produce! PDO balsamic could be used in cooking if you have money to burn, but I would recommend that it’s best reserved for use as a condiment, especially the gold label. 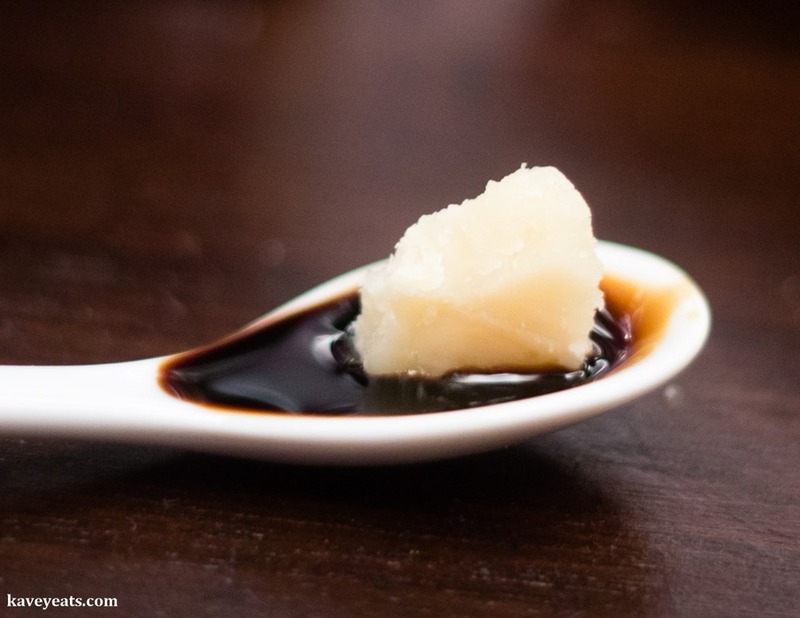 Just a few drops of the thick, mellow syrup are enough to enhance a dish, and of course, the balsamic pairs very well with Parmigiano-Reggiano. 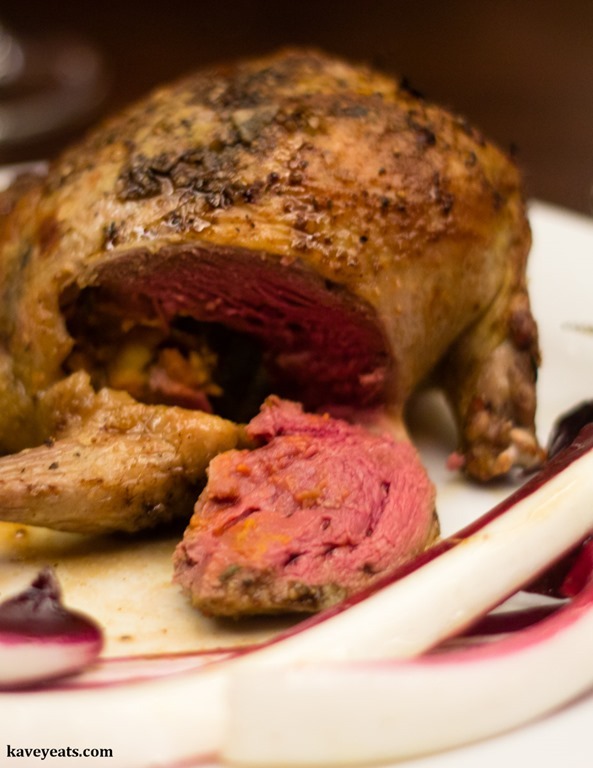 In my house, when it comes to recipes like my leg of lamb and pearl barley braised in red wine and balsamic (which calls for 150 ml of balsamic vinegar) we buy the non PDO imitations that are much cheaper. The good stuff is cherished drop by drop! 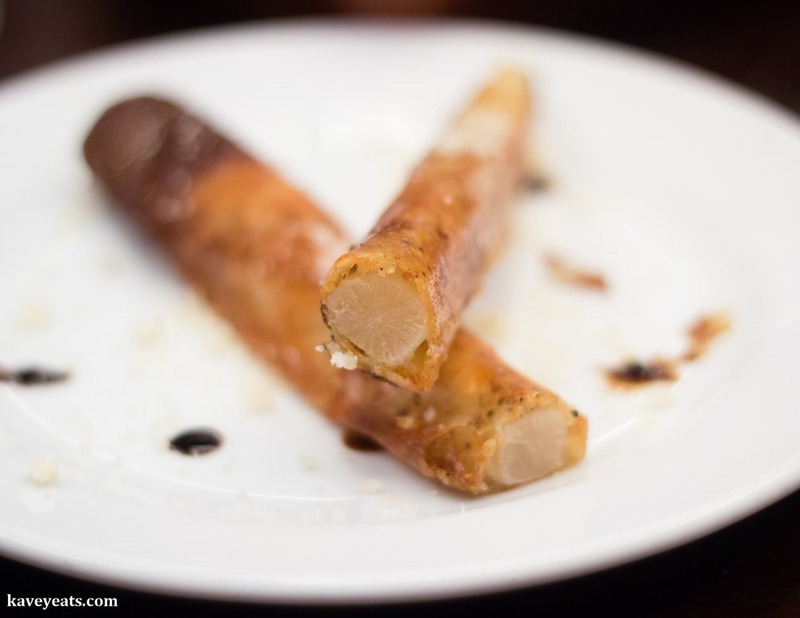 The first course is scorzonera (black salsify) wrapped in crispy skins of Parmigiano-Reggiano. A few drops of gold label balsamic serve as a condiment. 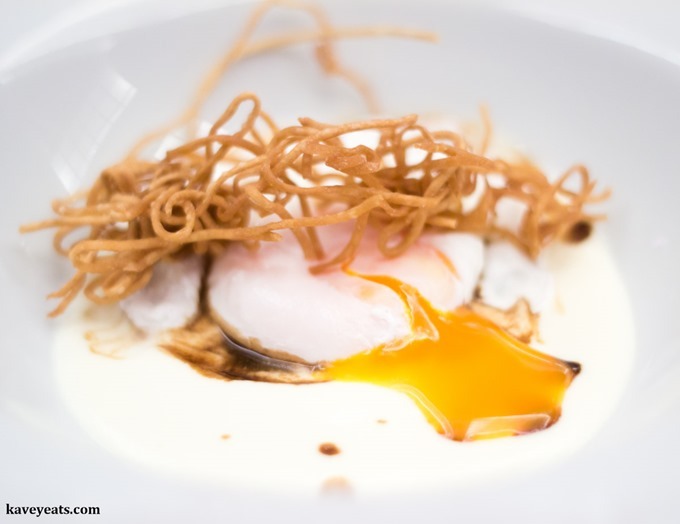 Next, one of my favourites of the evening, a perfectly poached egg on a bed of lusciously thick Parmigiano-Reggiano cream, served with crisp fried tagliolini and that wonderful gold label balsamic again. 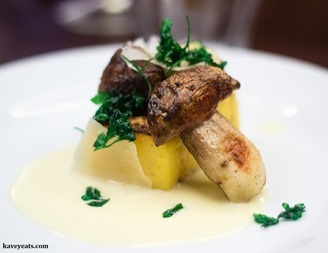 Polenta is never my bag, but I enjoyed the rest of the plate of plump porcini mushrooms and a glossy Parmigiano-Reggiano sauce. 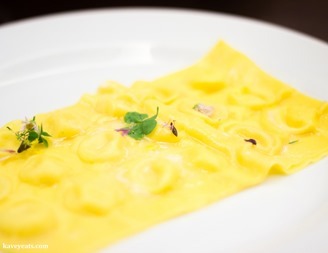 The raviolo di ravioli turned out to be a large sheet of pasta featuring three rows of individual ravioli filled with Parmigiano-Reggiano cheese. Chef Isa Mazzocchi used three ages of the cheese, one for each row, to showcase the difference in flavours that each provides. Another favourite dish of the evening for me was this perfectly cooked roasted squab stuffed with Delica squash (a Kabocha hybrid) and chestnuts, and served with treviso radicchio. The use of Aceto Balsamico Tradizionale to flavour the skin was fantastically good, and the sweetness from the stuffing provided perfect balance. Last, but certainly not least, a vanilla crème brûlée served with white chocolate cream and jellied pearls of balsamic vinegar it was further lifted by fresh raspberries and mint. Most of us are very familiar with these two wonderful ingredients – Parmigiano-Reggiano cheese & traditional Balsamic Vinegar from Modena. 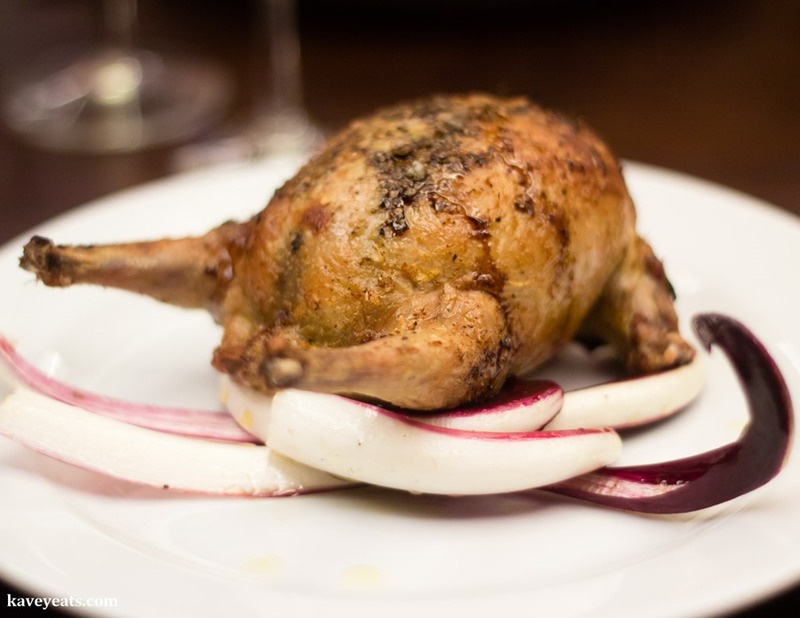 But it’s been wonderful to see them showcased in such inventive dishes, something a little out of the ordinary in terms of how I’ve previously experienced the two products. 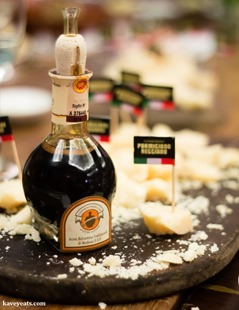 Kavey Eats was a guest of a promotional evening hosted by Parmigiano Reggiano PDO, Aceto Balsamico Tradizionale di Modena PDO and Bocca di Lupo.